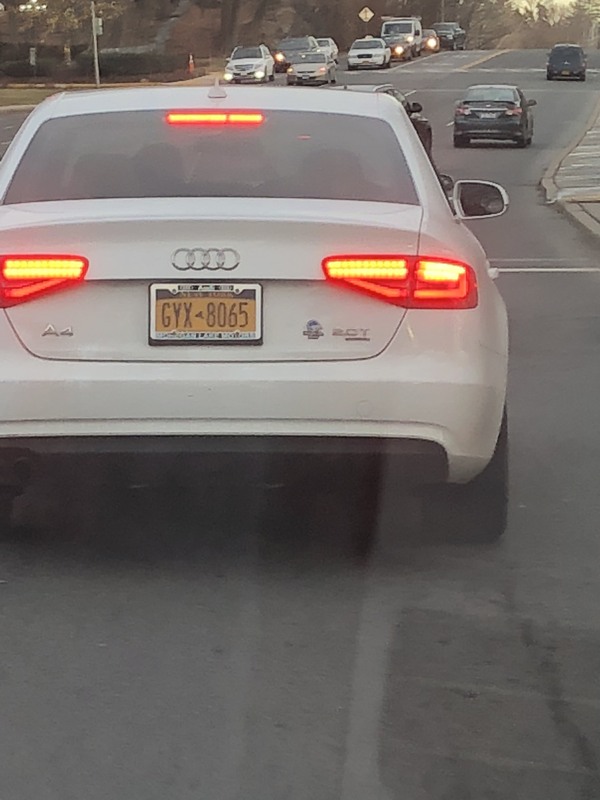 Event Description: This guy was driving on New York’s I287, around the White Plains area, on Sunday afternoon, around 3pm, zig-zagging through vehicles on all three lines, even when there really wasn’t enough space, forcing vehicles to either slow down or accelerate depending on their position so as to not get hit. We followed the vehicle into Port Chester and called the police. We could overhear the police stating this loser is from Mt. Kisko, in New York. So, bottom line: if you see this guy driving, most likely in a range spanning Mt. Kisko, White Plains, and Port Chester, New York, keep your eye peeled and report him. He should not be driving and is a gigantic risk to children, the elderly, and others who take a more passive approach to driving. Driver Description: Short male (based on his position in the driver’s seat). Difficult to assess his ethnicity based on how fast he was driving.